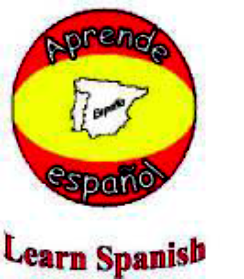 Interested in brushing up on your Spanish or improving your speaking skills? Join this group at any time. Instructor LaVoie House plans mini-lessons for the group. Native speakers frequently attend. Meets every Monday and Friday at 10:30 a.m.
Come see the trains! The club meets at 1:30 p.m. the first Wednesday for business. All other Wednesdays someone is around at the old Red Wing Hospital 1-4 p.m. All are welcome to stop in! The club can always use more model trains, tracks, engines and cars to add to its working train displays. 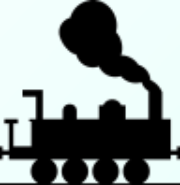 For more information or to donate trains call William 651-983-2383. Was your great-great grandpa a cattle thief? Was your fourth cousin removed a princess in Poland? Find out who your relatives were. For more information call Phyllis at 651-212-6539. The Granny Blanket Group makes tied fleece blankets and knitted items that are donated to children and adults in need. We generate dollars to do this work by selling handmade items in the gift shop. Thanks to those who have donated fleece and yarn as well as to those of you who have been tying the blankets and knitting and crocheting with us. We welcome all who are interested. Like to travel? Want to learn more about traveling? Just want to share your travel experiences and talk with others about their traveling passions and stories? Here you can have an opportunity to provide input on Red Wing Area Seniors future trips and adventures. Come to our TRAVEL CLUB! We always have plenty to say and it’s all about travel. We meet at 2 p.m. the 3rd Tuesday each month. For more information, call Phyllis, 651-212-6539. The Silver Tones practice Tuesdays at 1:00 pm at Pier 55. The fourth Tuesday of each month they meet at First Lutheran Church in Lake City. Director Coleen Fowler and accompanist Cheryl Hemphill invite you to join. If your organization is looking for live entertainment, the Silver Tones singing and performance groups are now available for booking (for a donation). They provide 20-30 minutes of toe-tapping and sing-along enjoyment. To book a date with the Silver Tones, contact Coleen Fowler at 651-345-9988.